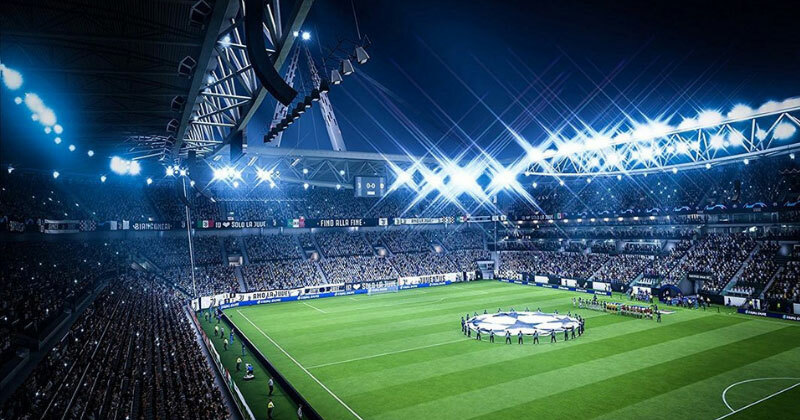 The stadiums in FIFA 19 are, once again, absolutely gorgeous. 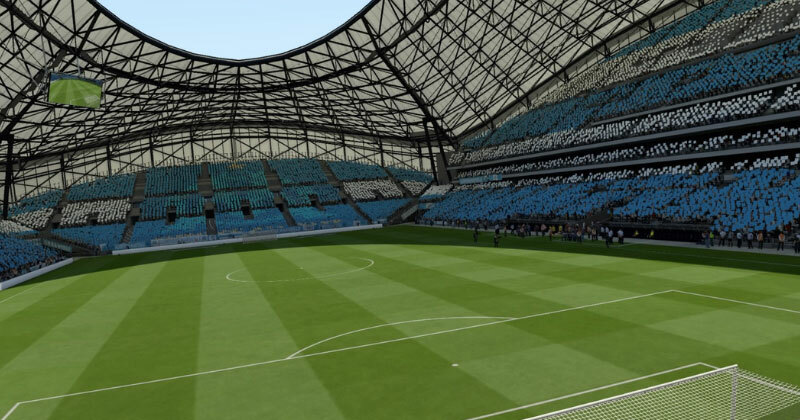 This year, EA are boasting the addition of all 20 La Liga stadiums (apart from Camp Nou, which remains the only thing PES actually has a license for), along with some gorgeous new arenas from all over Europe and the United States. Now it’s up to you to decide which one you’re going to call home; which one will become your impenetrable fortress. The atmosphere is what makes FIFA so immersive at times, so deciding which arena will fly your colours is a big decision to make. fifa-stadium-shadow Buy Now Image from EA Sports. Let’s face it- shadows can be pretty annoying in FIFA. In fact, a lot of players actually dismiss a lot of the better stadiums because the shadows on the pitch disrupt the gameplay. However, there’s actually a really simple trick to get rid of them: you just need to change the time of day. If you load up a game of Squad Battles (or any other single player mode), advance through the team and kit selection menus until you get to the pre-match screen. Click on ‘Game Settings’ and you’ll be able fiddle around with the time of day, season and even the weather conditions. Obviously, playing the game in darker conditions will get rid of any annoying shadows, leaving you free to enjoy any stadium you like! In my opinion, a lot of the stadiums actually look a lot better at night, anyway. And the best part- any changes you make will automatically become the default settings for your stadium, so you don’t have to bother switching things about before every game. 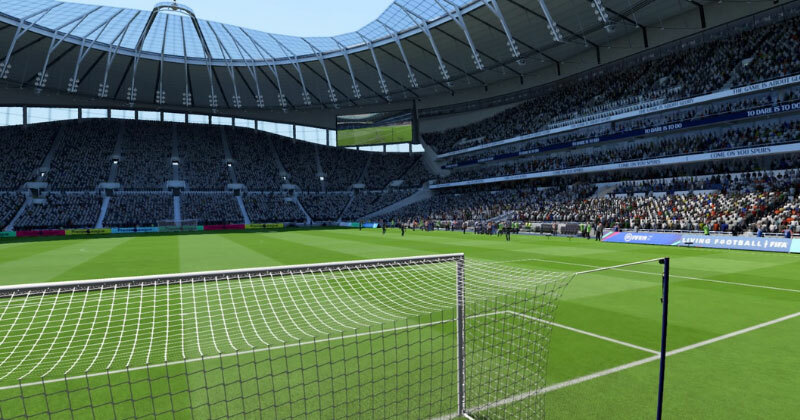 So, now we’ve got that out of the way, what are the best stadiums for Ultimate Team in FIFA 19? Where better to settle down than the home of football itself? 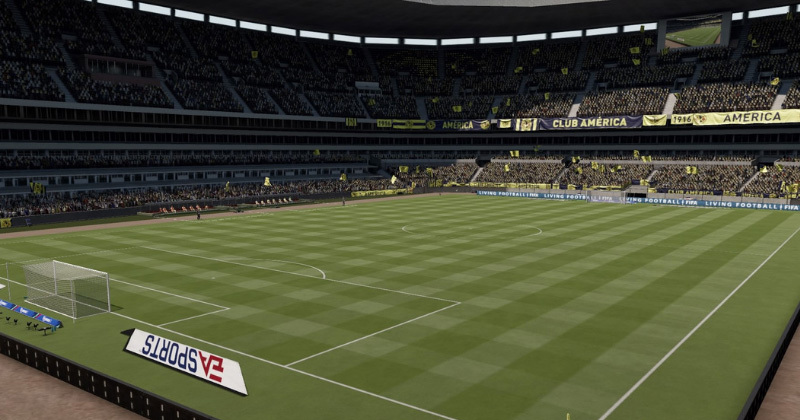 Boasting an absolutely massive crowd capacity and that infamous giant arch, Wembley Stadium has been a favourite of Ultimate Team players for years now. 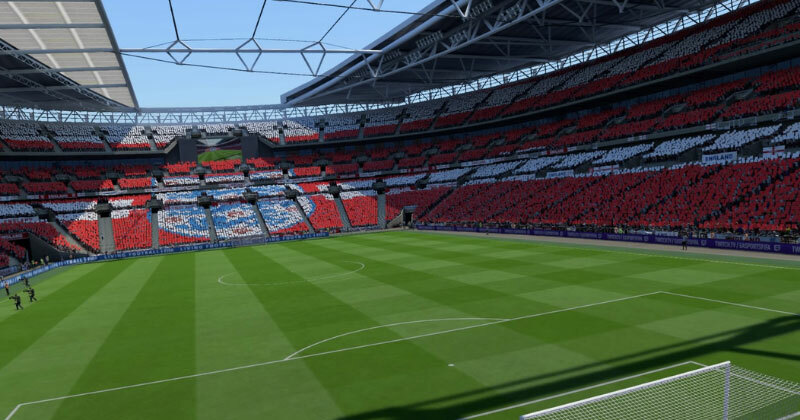 Free of any existing club banners and logos, Wembley offers you a grand blank canvas onto which you can paint the colours of your own FUT club. There’s a bit of an annoying shadow near one of the penalty areas during daytime matches but, apart from that, Wembley offers a smooth, clean playing surface. Without question, this is the most beautiful football stadium in Europe. I mean, just look at it. The wavy, almost fluid, design is unlike anything else you’ll see in football, as the Orange Vélodrome boasts a shape that looks like it’s modelled on some kind of lava lamp. In the sunshine, this strange shape casts some incredibly annoying shadows which are bound to disrupt your game at one stage or another. When the sun goes down, however, there’s just nothing better than playing under those blazing lights, so I strongly recommend switching the pre-match settings around for this one. Opened: Probably never at this rate. I’m going to be honest here- this is so high on our list because I love the fact we get to play at Tottenham Hotspur’s new stadium before they do. Even so, you can’t argue with the fact this stadium looks absolutely stunning in-game. Definitely worth trying out for a few matches this season, especially if you’re a Spurs fan desperate to see what your new home is going to look like. For the neutral, this is a fresh new arena we’ve obviously never seen before, and your club’s banners and flags should cover up most of the ‘COME ON YOU SPURS’ text running throughout the stands. My favourite stadium last year was probably Boca Juniors’ La Bombonera (which sadly isn’t in FIFA 19), but the Estadio Azteca of Mexico City was undoubtedly a close second. It’s just absolutely massive. The stands rear up above you in an almost completely vertical stance, while the sheer scope of it all really hits you every time you take a goal kick. Yes, a good portion of the near-side is shrouded in shadow, but it’s not anywhere near as disruptive as most of the other stadiums’ lighting. When the sun’s gone down and the lights come on, the colossal size of the stadium makes every game feel like a Champions League Final. This brand-new FIFA 19 stadium has certainly made an impression on a lot of players- and it’s not hard to see why. An enormous, circular video scoreboard sits right above the pitch, which proudly proclaims “GOOOOOOOOAL” every time you put the ball in the back of the net. Video screens behind the goals and a fully-retractable roof add to the sense that this is very much a football stadium from the future. In fact, it looks like something straight out of Rocket League. In addition, the stadium really does look fantastic during the darker hours, with the blazing lights of the screen and floodlights creating a jaw-dropping atmosphere. 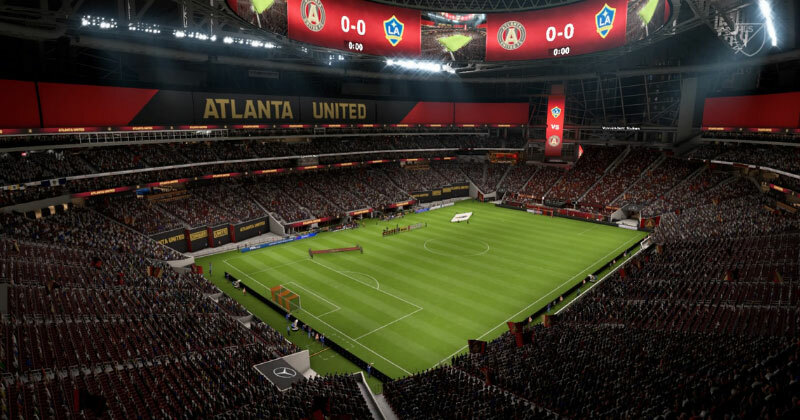 The only downside is the fact the words ‘ATLANTA UNITED’ are displayed in huge print all around the stadium, which can kinda ruin the illusion of it belonging to your club. But, if that doesn’t bother you, this is undoubtedly the best stadium for Ultimate Team in FIFA 19. If you’re still trying to find some awesome football kits to go alongside your new stadium, then check out our blog on the Top 10 Best FIFA 19 Ultimate Team Kits!